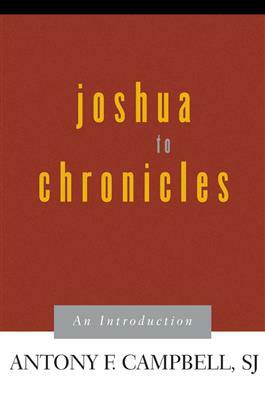 Joshua to Chronicles surveys the rich literature of the Old Testament books Joshua, Judges, Ruth, I and II Samuel, I and II Kings, and I and II Chronicles. Campbell argues that while these books may appear historical, they are more theological--better understood as Israel's efforts to interpret their people's experience. The book is helpfully structured with overview and review sections.